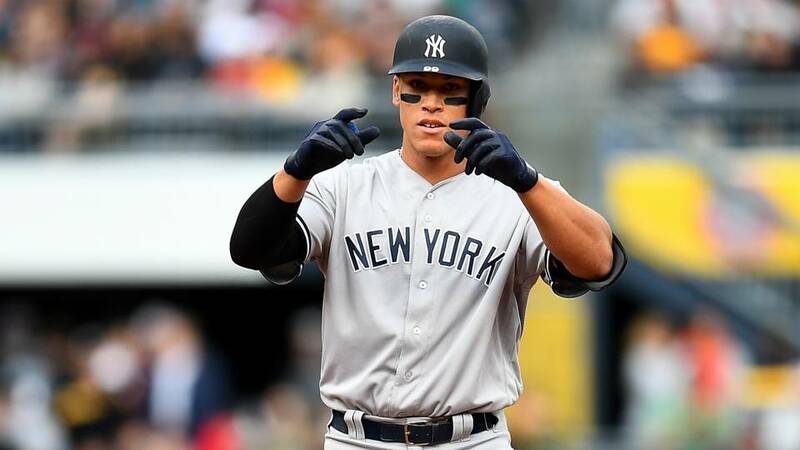 Aaron Judge continued his incredible season on Monday racking up two more accolades after he was named the American League's Player and Rookie of the Month for June. This was the third consecutive month that Judge had been awarded the AL Rookie of the Month honors, and the first time he won the AL Player of the Month. Judge had a great month hitting .324/.481/.686 with 10 home runs, 25 RBIs, 30 runs, and 30 walks. Judge, 25, is putting together a MVP caliber year as he's hitting .327/.448/.687 with a lead leading 1.135 OPS. Coming into tonight's game, Judge was second in batting average, and he is leading the American League in home runs (27), RBIs (62), runs (70), walks (58), on base percentage, and slugging. This announcement comes on the same day that Judge announced he would be participating in the Home Run Derby. Judge will compete against some of the top sluggers in the league from Cody Bellinger, Giancarlo Stanton, and his teammate Gary Sanchez. Judge was also named as a starting outfielder on the American League All-Star team after he was the leading vote getter.